Positive Detroit: It's A Bird! It's A Plane! No, It's A Message For Kwame! It's A Bird! It's A Plane! 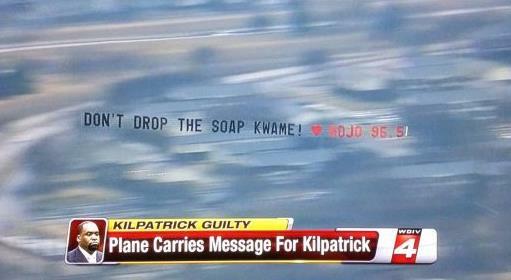 No, It's A Message For Kwame! The City of Detroit sends its former mayor to jail -- and THIS is how the city responds. I love Detroit.